When it comes to determining the concentration, identity or purity of substances rapidly, reliably and accurately, refractometry is the ideal method. This is where online process analyzers are especially useful as they supplement laboratory analysis. 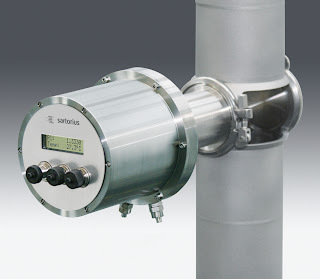 Process analyzers deliver results within fractions of a second, which enables processes to be monitored in real time and controlled automatically. 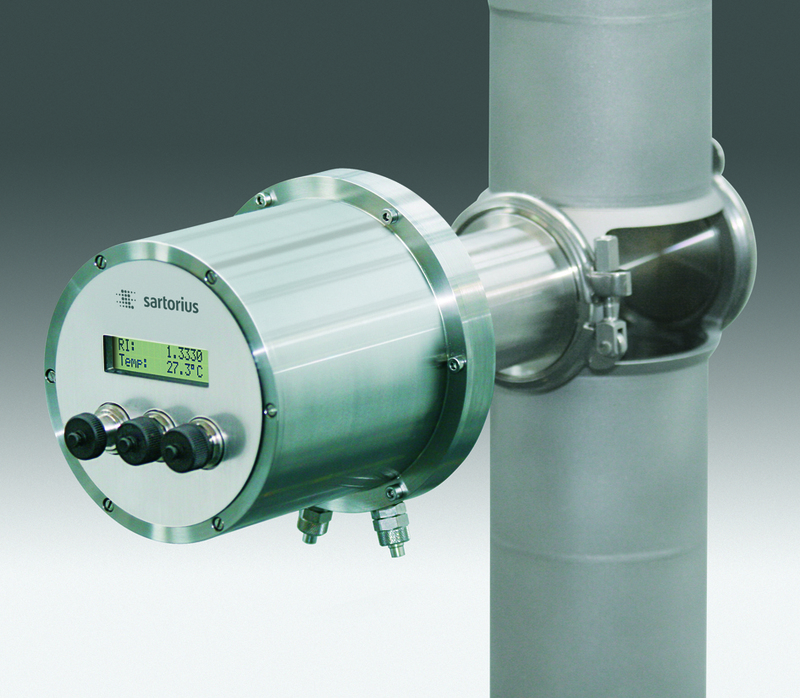 Sartorius has introduced the PMD700 series of online refractometers for process analysis and control of liquid and paste-like process streams. The PMD700 series features an accuracy of 0.02 Brix or 0.2g/l (eg, sugar solutions) and is thus ideal for precise monitoring and control of the concentration in process streams. This includes monitoring and control of the dissolution of substances, reduction of solutions, dilution of concentrates and determination of dry mass. Moreover, the online analyzer excels in monitoring and controlling crystallization, checking and controlling the correct mixture of various compounds, and in determining the sugar concentration in different matrices. Moreover, the PMD700 is also used, for instance, to monitor concentrations in evaporation procedures, such as before spray drying in the production of instant coffee and tee, or to determine the segments between different liquids in filling applications, such as filling juices in tanks. Another special feature to keep in mind: Calibration with the existing reference method results in consistent traceability within the scope of monitoring and control of inspection, measuring and test equipment. The PMD700 series is offered in a wide array of models with a broad spectrum of measurement ranges and resolutions, giving users the right choice of equipment for any application. The sapphire or YAG prism with exceptionally high hardness ensures the ruggedness of the PMD700 in any process. This enables it to stand up to CIP methods just as well to pipe cleaning with process pigs. Thanks to its stainless steel housing featuring IP65 protection, the process analyzer can be thoroughly and efficiently cleaned at any time in a process environment. PMD700 compact process analyzers operate according to the principle of total reflection. Light is refracted at the interface between the optical prism and the process solution. A CCD sensor measures at high resolution the angle at which total reflection occurs and uses installed refractometer scales to calculate the concentration. The beam entering the solution is not affected by absorption or scattering. As a result, the concentration can be determined in colored or dark solutions just as easily as for particles in process streams. A special feature is the prism embedded temperature sensor (PES), which is in the direct vicinity of the process stream and the measurement point. This enables the best possible temperature compensation to be attained. In summary, the process refractometers of the PMD700 series make process steps more transparent and markedly minimize fluctuations in product quality. As a result, efficiency is enhanced, production costs are lowered and process reliability is increased. Thanks to their field-proven and reliable technology, the PMD700 series analyzers are suitable for a wide range of applications in the food and pharmaceutical industries.